The film is inspired by a real life incident in the political life of France, namely the Lebanon hostage crisis in 1983-1984, when three French citizens were kidnapped and their release was allegedly withheld by the French government, in order to benefit presidential candidate Jacques Chirac, who was then prime minister. As to the truth of those allegations, I couldn’t possibly comment but they do make a good starting point for an effective, slow burning thriller reminiscent of American classics such as “The Conversation”, “The Parallax View” and “Three Days of the Condor” – only in French. It is one of those stories where an ordinary guy gets innocently caught up in events beyond his control and experience. The guy in this case is Duval (Cluzet). Duval has been out of work for two years, after losing his job as a clerk in a darkly comic opening sequence, which is not unrelated to the character’s alcoholism. He is now on the wagon and a devoted member of Alcoholics Anonymous but is still having no luck with job hunting. Then a chance encounter leads to an odd offer from a man called Clement (Podalydès), who claims to be a security specialist. The job involves sitting in a bare room with a typewriter and transcribing conversations that Clement’s organisation has recorded from phone tapping. It has to be a non-digital operation, he is told, as computer files are too easily copied. And he must tell absolutely no-one about his work. Needing the job Duval obeys orders, noticing but studiously not reacting to the alarming nature of the material he is transcribing. He then starts getting regular visits from Gerfaut (Simon Abkarian), who claims to be part of Clement’s organisation and who insists on Duval accompanying him on a mission outside the office. And that is when Duval’s real troubles start, as he is drawn into a complicated web of violence and intrigue way outside his league, which threatens not only him but also Sara (Alba Rohrwacher) a young woman he has met through AA. The film has a twisting and sometimes obscure plot, which relies on the central character through whose eyes we experience the story. Cluzet is the ideal actor for the role. A middle aged veteran of French movies going back to the seventies, he is a consummate film actor, always aware and in moment. We are with him every step of the way. The film takes its time to establish Duval’s character and the repetitive routine of the job – arriving and leaving at the same time each day, opening and closing the curtains, leaving the transcripts in a neat pile. Until the story explodes into sometimes quite brutal action. It could be argued that writer/director Kruithof’s story is more than a touch derivative but it is well directed and acted and holds the attention. 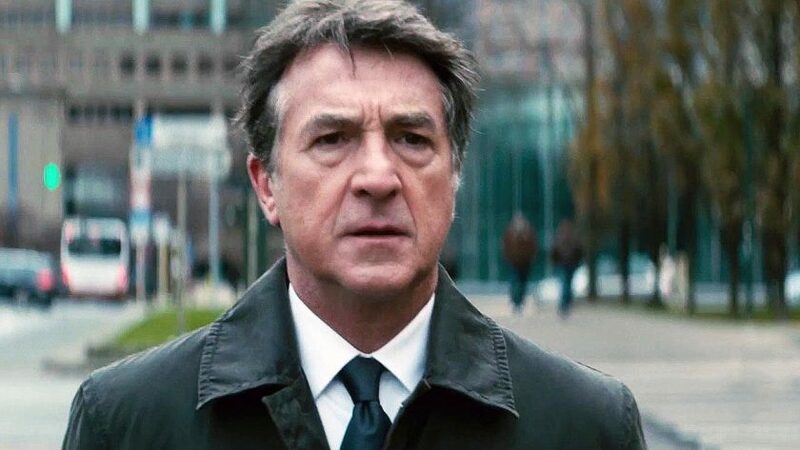 There is also a chilling performance from Sami Bouajila as a ruthless high ranker in the French very secret service – and it is well worth seeing for Cluzet’s performance alone.